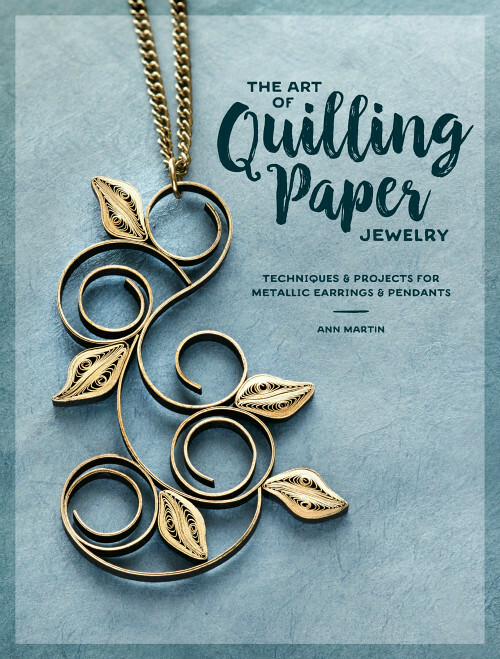 Just a quick post during a holiday weekend here in the U.S. to tell you that the eBook version of my newest book for Interweave, The Art of Quilling Paper Jewelry, is now available. The print version will be released everywhere books are sold on September 6. It may be pre-ordered via Amazon, Barnes and Noble, and at Book Depository, a UK site that offers free shipping worldwide. I hope you'll like making the projects as much as I enjoyed creating modern designs for necklaces and earrings. 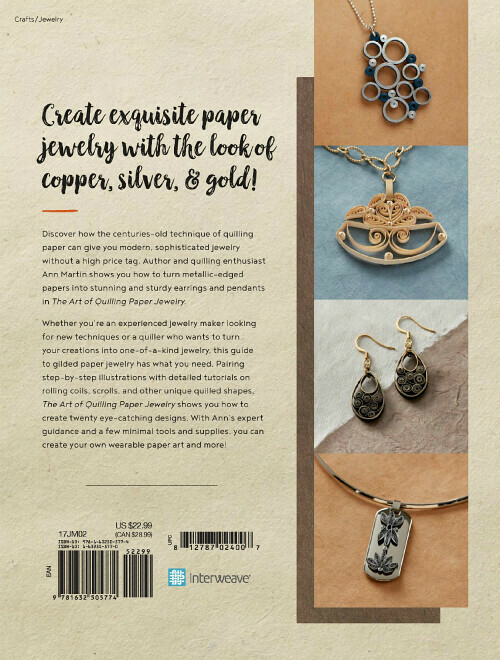 If the pendant on the cover looks vaguely familiar, you might be remembering it from a previous post... it was one of my pieces that was included in a paper art exhibit at New Jersey's Morris Museum. At the time, I received questions about how I thickened and curved the paper so smoothly and now, thanks to the book's step-by-step illustrated instructions, you'll learn my technique. There are so many reasons to love quilled jewelry... it's surprisingly durable, lightweight and comfortable to wear, and perhaps best of all, always gets people talking... "Paper! How can that possibly be paper?" And now back to our regularly scheduled barbeques and fireworks. :) If you celebrate the 4th of July, have a happy one, and to all a great week! Congratulations, Ann. It's so fancy. Huge congrats to you on your latest accomplishment, Ann! This is a beautiful book, Ann. I love the gold edge paper jewelry. So exquisite. Congratulations on your new book. I know you must be thrilled to have it off your desk and on bookstore shelves. Have a great weekend. Thank you, HJ, that's so nice of you to say!